As of November 30th, 2018 I’m proud to announce that we’ve officially migrated RCP related information from GotMag.org to the TheRootCauseProtocol.com website. Therefore, each of the individual profile pages for RCPCs have been removed from GotMag.org, including this page. Instead, we’ve compiled a full list of all the Copernican Graduates I’ve had the pleasure to teach since 2017. PS – If you’re interested in receiving one on one health coaching from an RCP Consultant, please visit Get Help from a Root Cause Protocol expert to see the updated content. Download this very useful and informative PDF that we call "The Black Book" featuring articles by Guy E. Abraham, MD, Suzy Cohen, RPh, and Morley Robbins, MBA, CHC! 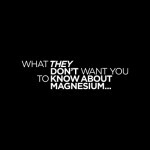 Is Magnesium Deficiency a GERD and Acid Reflux issue? The entire contents of this website are based upon the opinions of Morley Robbins, unless otherwise noted. The information on this website is not intended to replace a one-on-one relationship with a qualified health care professional and is not intended as medical advice. It is intended as a sharing of knowledge and information from the research and experience of Morley Robbins. Morley encourages you to make your own health care decisions based upon your research and in partnership with a qualified health care professional.